We are dog walkers in Brisbane's western suburbs. We're called Jogs for Dogs. We take dogs on bush walks on the beautiful forest trails, swimming in creeks and sniffing interesting smells. 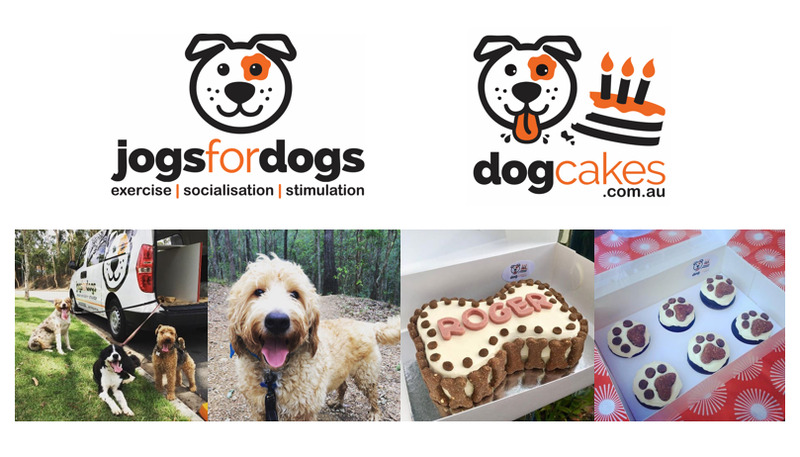 We also make dog birthday cakes (see our Dog Cakes website). On top of all that we run dog play dates and pool parties. Our pool parties have seen loads of Brisbane dogs enjoying our One Dog One Bone dog pools (find photographic evidence HERE). Our dog pools have lasted ages despite some particularly cheeky dogs trying to chew them up, and heaps of big dogs with sharp claws 'digging' like mad in the water in the corners! Our One Dog One Bone dog pools are still going strong and every time we post photos on our dog walking Facebook Page and Instagram Page we get people asking us where we got our fabulous dog pools. We now import them from the USA. We think you and your dog are going to LOVE your new dog pool! Get your dog pool HERE. Dog walking service Jogs for Dogs HERE.